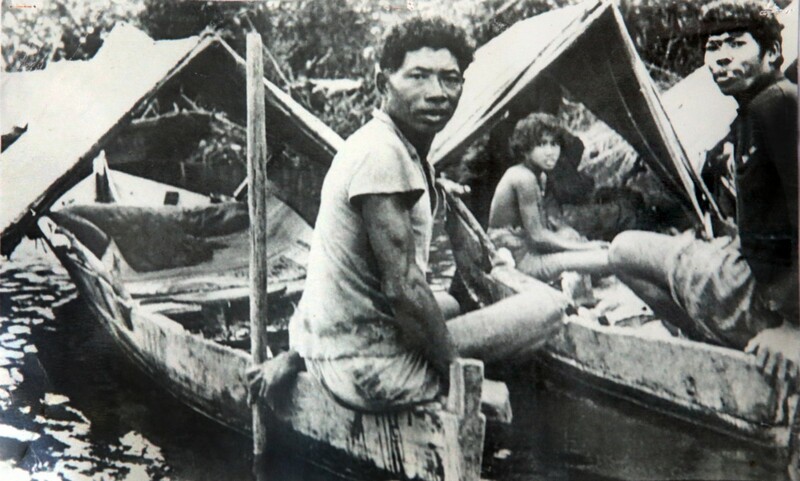 For centuries, Johor's Orang Seletar people eked out a living as traditional fishermen along the Johor and Singapore Straits. 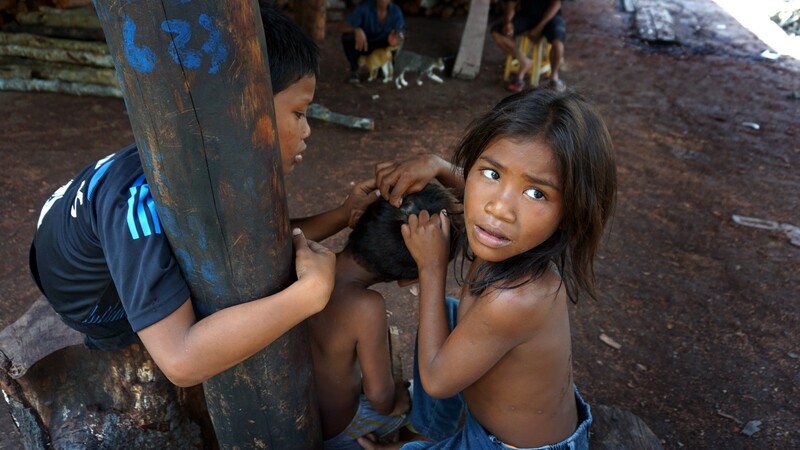 They are one of the 19 Orang Asli (indigenous) people groups living in Malaysia. Named after one of their favourite fishing grounds at Seletar Island, the Orang Seletar and their sail-less wooden boats called paus, were once a familiar sight in Singapore up till the 1970s. 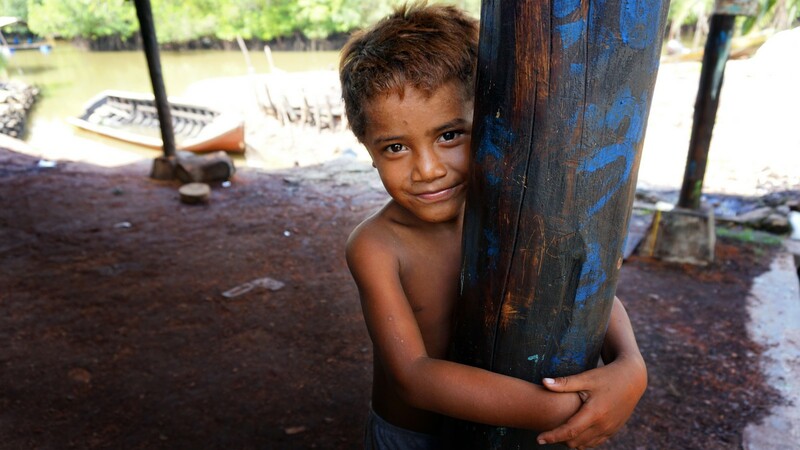 Yet, their way of life may soon come to an end if sea catches continue to dwindle. 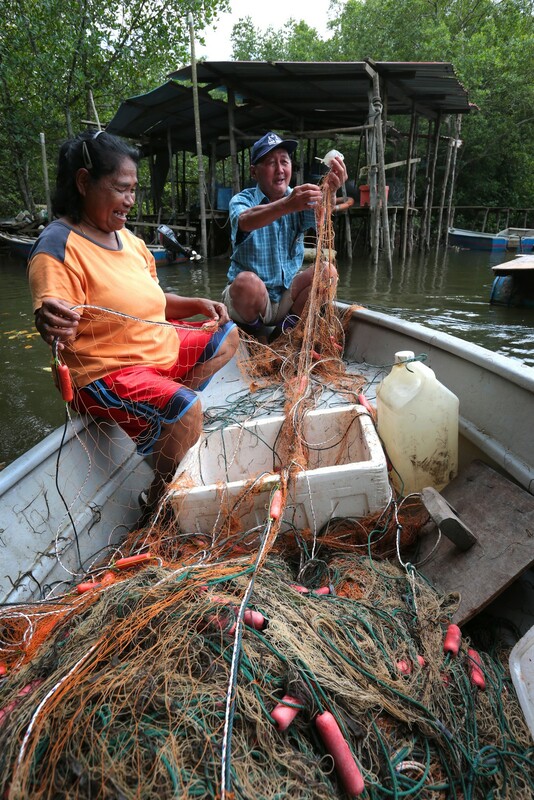 "There's something definitely wrong with the sea because most times we return with empty nets," said Mr Taulan, a 63-year-old fisherman from Simpang Arang village in Gelang Patah, about 20 minutes drive from Tuas Second Link. The New Paper visited the village, which has a population of 700, last month. It is one of the few Orang Seletar settlements on the southern coast of Johor. Previously, they lived on boats. A dozen middle-aged men, who sat at a long table near the village jetty, spoke about their current challenges. "There's something definitely wrong with the sea because most times we return with empty nets," said Mr Taulan, a 63-year-old fisherman from Simpang Arang village in Gelang Patah. It is one of the few Orang Seletar settlements on the southern coast of Johor. Previously, they lived on boats. 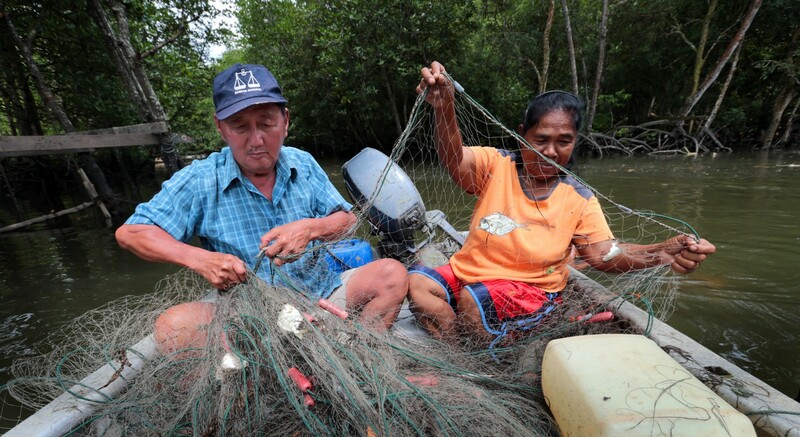 "We used to be able to make RM200 (S$75) a day from fishing," explained Mr Taulan. "Today, even making RM30 is difficult." 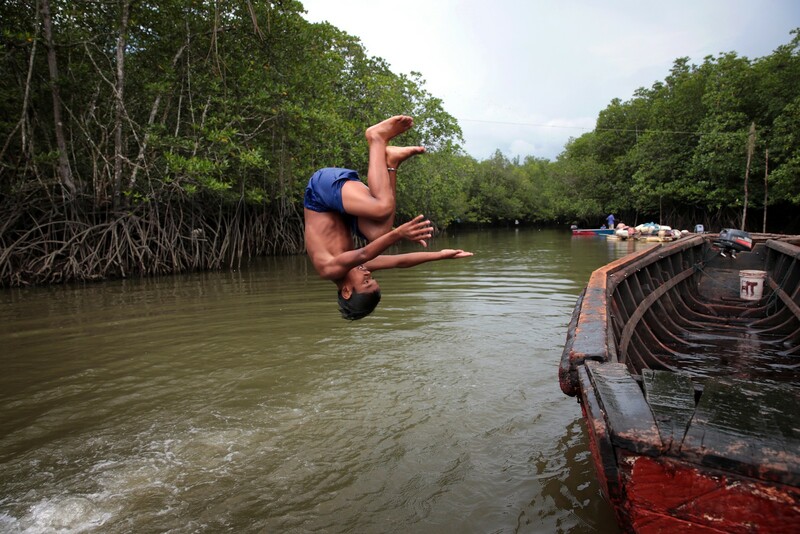 The Orang Seletar, who are also known to sell bakau wood found in mangrove forests, say that in the last decade, they have seen depleting catches from the sea. They blame this on building projects near their villages, which ruin the ecosystem and encroach on their ancestral lands. The waterways along mangrove forests leading to the village were once teeming with seafood, including fish, prawns and crabs. 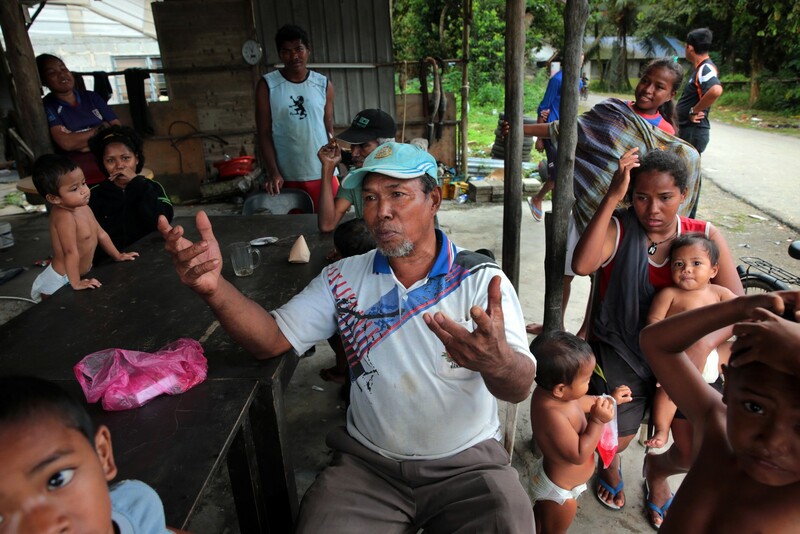 The Orang Seletar have repeatedly petitioned the government to preserve their customary land. But their efforts have achieved little. Some villagers claimed they have not received compensation from developers. Mr Tang King Tong, 68, the head of the fishermen's association in the village, said life has been hard since 2000. He said: "We get government subsidies, free education and housing. It's just enough to survive. But you can't expect to get rich by being a fisherman today." Mr Tang, who studied in Singapore at St Anthony's Boys' School in Victoria Street, said the call of the sea and beautiful Orang Seletar girls made him return to Gelang Patah. Together with his wife Madam Rom Ambot, 66, the couple operate a small business selling dried fish. They also organise eco tours for tourists. Despite a bleak future, the village children lead a carefree life. Dressed mostly in oversized hand-me-downs, they move around boisterously on bare feet. 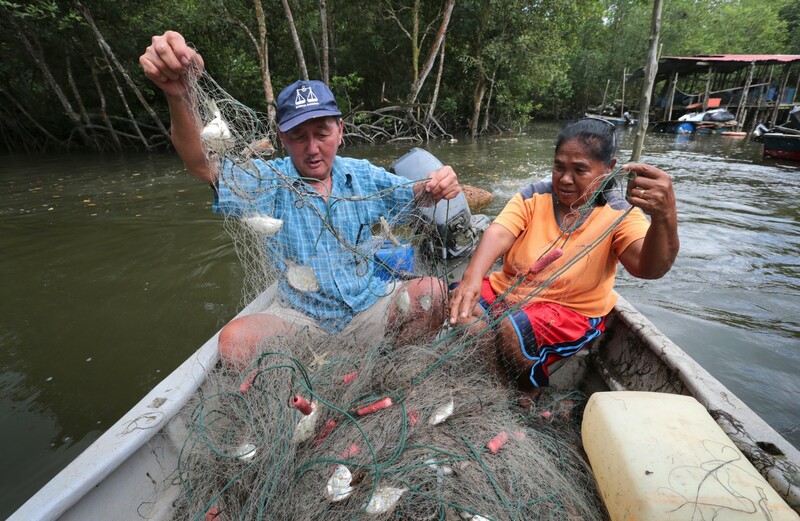 "We used to be able to make RM200 (S$75) a day from fishing," explained Mr Taulan. "Today, even making RM30 is difficult. It's cruel that we have to feed our children sugared water when we're broke. They suffer when their teeth rot." The waterways along mangrove forests leading to the village were once teeming with seafood, including fish, prawns and crabs. These creatures are now a rare find in the waters. In July, Datin Paduka Professor Dr Jamilah Ariffin, the wife of the former Menteri Besar of Johor, launched a book on the Orang Seletar. She argued that rapid development in Iskandar Malaysia would adversely affect the future of indigenous people living in the area. 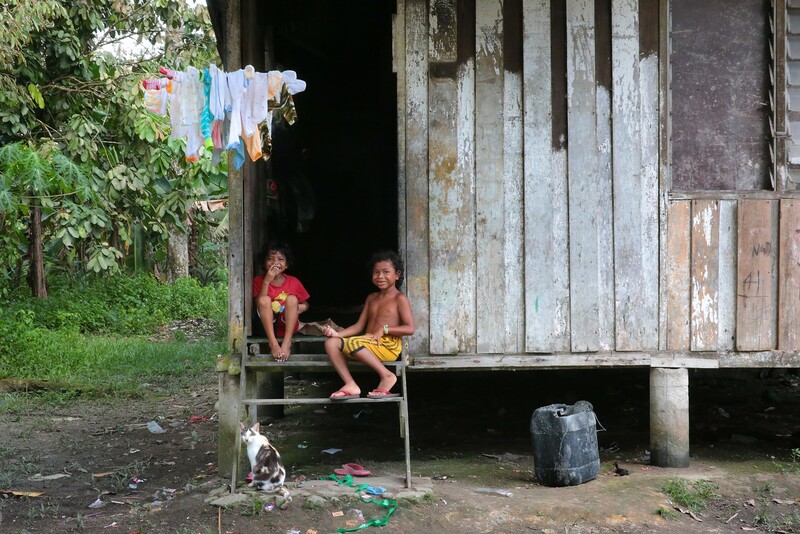 The Orang Seletar have repeatedly petitioned the government to preserve their customary land, to the extent of filing multiple suits, but their efforts have achieved little. Some villagers claimed they have not received compensation from developers. The Malaysian Chinese man, who married an Orang Seletar woman, said: "We get government subsidies, free education and housing. It's just enough to survive. But you can't expect to get rich by being a fisherman today." Mr Tang, who studied in Singapore at St Anthony's Boys' School in Victoria Street, said the call of the sea and beautiful Orang Seletar girls made him return to Gelang Patah, where his father was then a businessman. 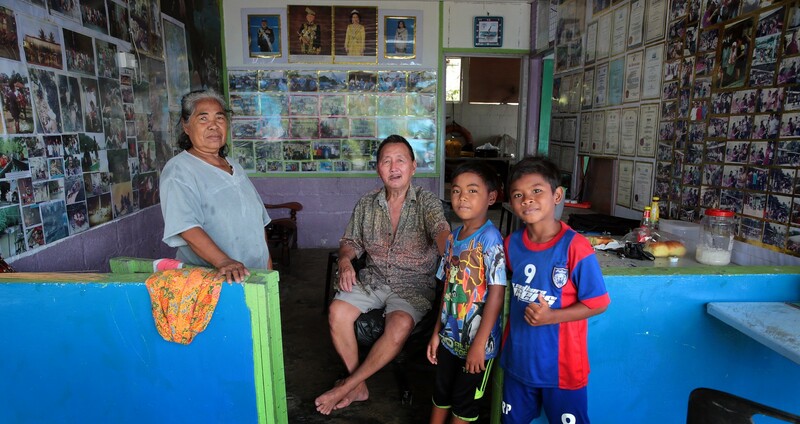 Added Mr Tang, who has five children, 73 grandchildren and 35 great grandchildren: "I was lured to this life because it gave me freedom and there was more fish than our boats could fill." Together with his wife Madam Rom Ambot, 66, the couple operate a small business selling dried fish. They also organise eco tours for tourists, including those from Singapore. 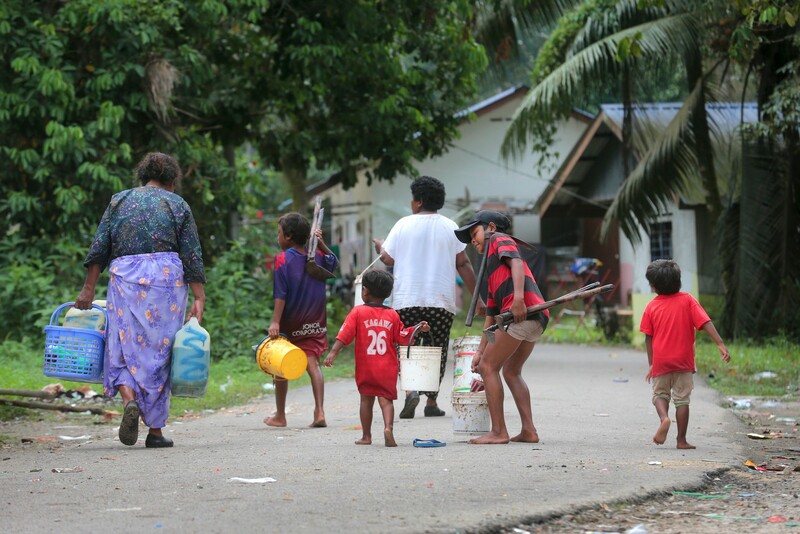 With a simple holler of "Jan kik - boh yang klojek (Go by foot and take them to the water's edge)", Madam Ina Teo Booi Yoong, 39, told her son to show us the village. A mosque, a school and makeshift provision shops were interspersed with wooden houses badly in need of paint. 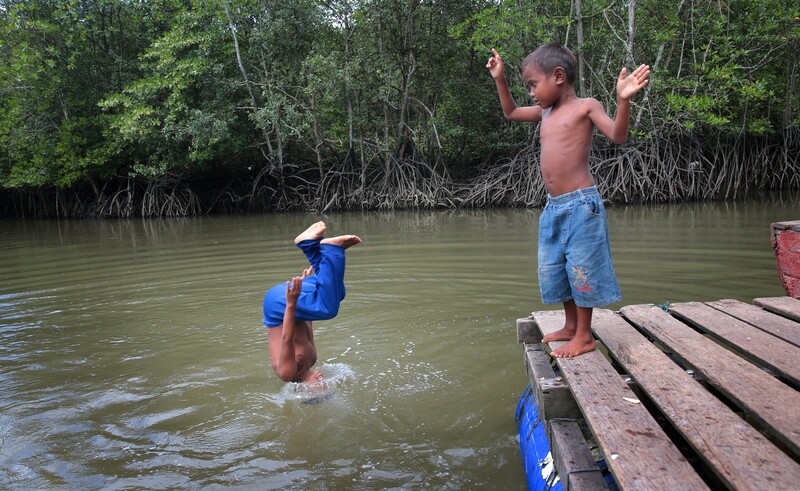 At a jetty where bakau wood is fired up to make charcoal, eight-year-old Tina invited us to swim as village boys acrobatically plunged head first into the brackish waters. Madam Ina, a housewife with relatives in Singapore, said: "The children love the sea. 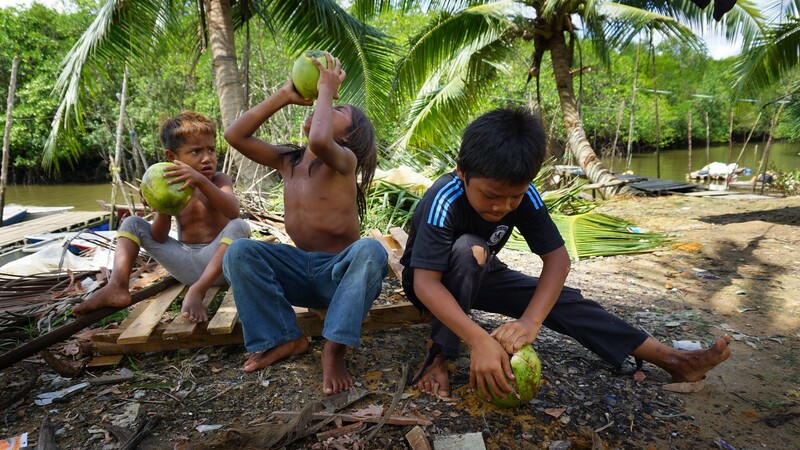 Orang Seletar parents take their children to sea from a young age to teach them the ways of our people." 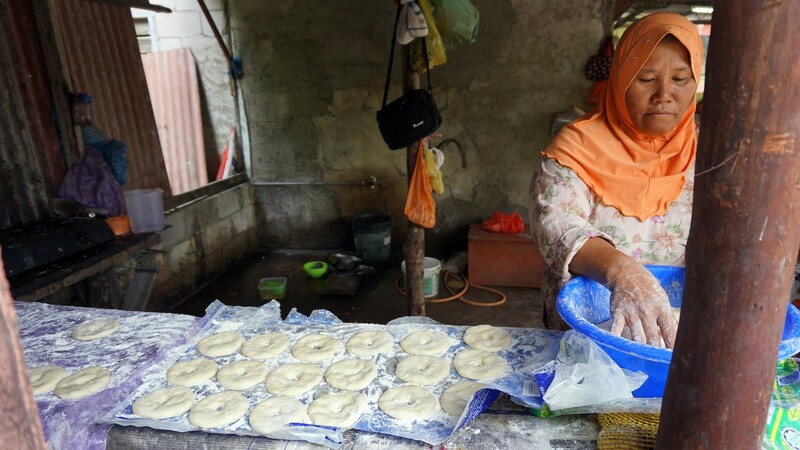 She recalled living on a pau when she was 11 years old and setting fish traps around Seletar Island, affectionately known as Pulau Romen (Malay for Romance Island) because of the couples making out on boats anchored there. She wore only a loincloth made from a gunny sack and bathed with washing detergent as soap. "We knew nothing except to exploit the sea's riches," said Madam Ina in Malay. "There's even a local saying, 'where there's fish, that's where you'll find the Orang Seletar'." 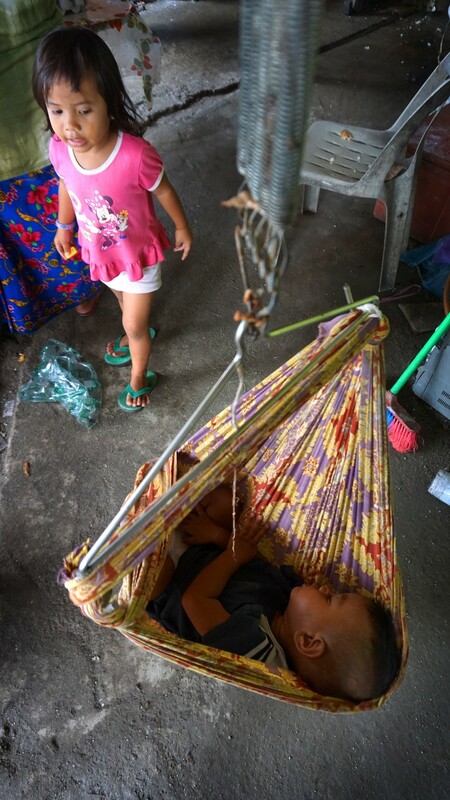 But her husband, who gave his name as Ah Kwang, believes education is the only future for the Orang Seletar children. Said the 42-year-old fish supplier: "Those without education find it impossible to get work at the factories or elsewhere. Unfortunately, some parents do not ensure that their children go to school because they leave home to catch fish at 4am. Nobody wakes the kids up for school." This article was first published on December 15, 2014.